Welcome to 5 Star Equine Products, Inc.! We’re a family-owned and operated manufacturer of the world’s finest, all-natural saddle pads and mohair cinchas. 5 Star is owned and managed by Terry Moore and his family in Hatfield, Arkansas -- a small community in the heart of the beautiful Ouachita Mountains in the west-central side of the state. Our employees make up a team of dedicated, hardworking individuals who care about producing the very best product possible for our customers. 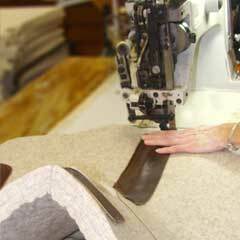 A fledgling saddle pad company was born in 1998, by Vern and Laurel Wells from Canada. 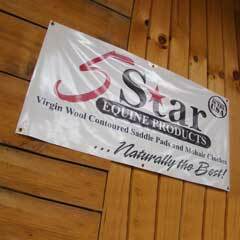 It was known originally as Vern Wells Horseman products, then Wells 5 Star, and today as 5 Star Equine Products & Supplies, Inc. Although Vern’s passing soon after the company started was a difficult time, God’s providence brought the skills needed to grow the company in the shape of Mike Easton. Mike’s knowledge of wool, marketing, research, legal issues, and business development were what was needed. Mike developed 5 Star’s mission statement, and together with Laurel, they focused on procuring the finest quality materials, using the best workmanship, and providing customer service unequaled in the Equine industry. Shortly after joining their efforts for 5 Star, Mike and Laurel were married. The success of their pad inspired them to refine the design even further to improve conformation, movement, natural therapeutic comfort, strength and application. Terry Moore bought the company in 2012, with the promise never to compromise on quality and to continue to build the finest saddle pads and cinchas in the equine world. 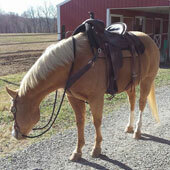 We’re best known for our saddle pads, which are made from the highest-grade pressed industrial felt. Using nothing but 100% virgin wool, our saddle pads are developed using scientific research and intensive field testing to achieve the correct function, safety and benefit for your horse. We also manufacture a line of premium-quality cinches made from 100% mohair for ultimate comfort and a natural fit on horses, ponies and mules. Everything we make embodies the original values established by Vern and Laurel Wells back in 1998 and built upon by Mike and Laurel Easton. We’re committed to excellence in quality, craftsmanship and materials while maintaining the highest possible manufacturing standards to deliver the finest saddle blankets and cinches money can buy. And, we back our products with friendly, customer service that’s second to none. Our goal is nothing less than 110% satisfaction for both our customers and their equine partners! Terry and his wife, Julia, purchased 5 Star Equine Products and Supplies, Inc. November 11, 2012 from Mike and Laurel Easton. Terry oversees the day to day operation of 5 Star and Julia has been a school teacher at JoAnn Walters Elementary School for the last 28 years. Julia teaches Gifted and Talented as well as special needs students. Terry and Julia have two daughters, Amanda Rae Moore (deceased 2014) and Rachel Moore Lowrey; one grandson, Lucas Rae Lowery; and one son-in-law, Lance Lowery who oversees another business, PineMoore Shaving, Inc., owned by Terry and Julia. This company manufacturers and bags wood shavings for the horse and pet industry for bedding. After Terry took over the reins at 5 Star, the company began to grow at a rapid pace each year. Terry's vision for 5 Star has yet to be reached. He believes the sky is the limit for this young company, simply because the products are superior to other products of its kind on the market today. Terry is very proud of his staff and their dedication to this company. He really appreciated his sales reps and dealers for their hard work and belief in these fine 100% virgin wool felt saddle pads and 100% mohair cinches. Terry is no stranger to the horse industry. He raised both girls from a very young age on horses and attended horse events all throughout the USA. Both Amanda and Rachel competed in Western Pleasure, Pole Bending, Queens Contest, Horsemanship, Cutting, and Barrel Racing. Through the years growing up, they both were Arkansas State Champions in Barrel Racing and Amanda was State Champion in Pony Pleasure at the age of 8 years old. 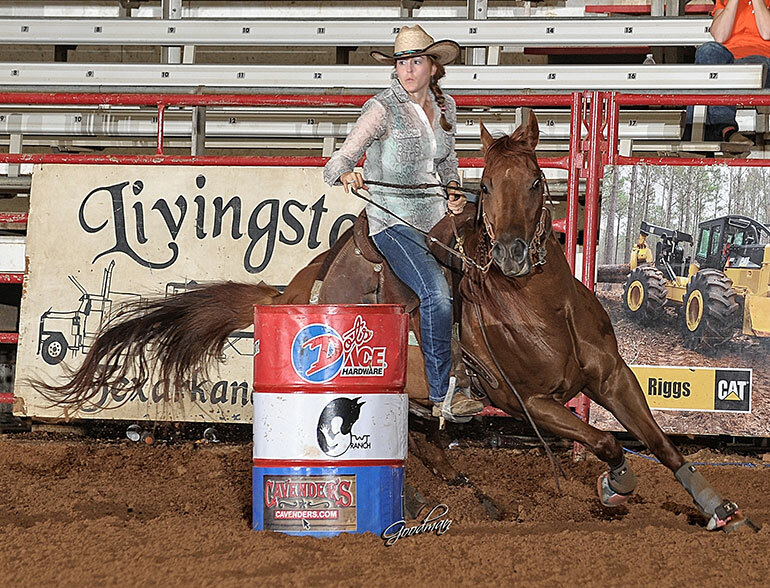 Rachel was the All American Congress Champion in NYATT Barrel Race in 2001 and the same year was the All American Congress Youth Barrel Racing Champion. Both Amanda and Rachel placed other years at the All American Congress. They both placed at the AQHA Youth World in the top ten in Team Penning (Amanda), Cutting (Amanda) and Barrel Racing (Both). Rachel was Reserve Youth Champion in Barrel Racing in 2000. Amanda and Rachel placed at AQHA World Show in Amateur Barrel Racing, Rachel was the Reserve Amateur Barrel Racing Champion in 2005. Terry's wife, Julia, showed at the local state horse shows in Western Pleasure. Now she loves the trail riding experiences in the Rockies. Julia loves camping, Dutch oven cooking, her flowers, her Corgis: Rudy, Tess, and Audrey and counseling at Barton Bible Camp. Julia is light hearted and is loved by all. She really enjoys spending time with family and her grandson, Lucas. As most friends know, she is a great story teller! Terry's passion has always been riding and competing on his cutting horses. He bred and raised cutting and barrel prospect for over 20 years. 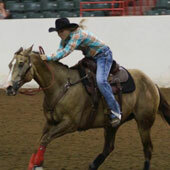 Terry has competed at local and NCHA cutting events since 1985. He has won over $24,000 in NCHA money and was 2009 Reserve Champion in the $10,000 Amateur at the NCHA Eastern Nationals. He has won several local affiliate year end awards on his cutting horses through the years. Terry's hobbies include riding horses, being around family – especially Julia, Rachel, Lucas and Lance. 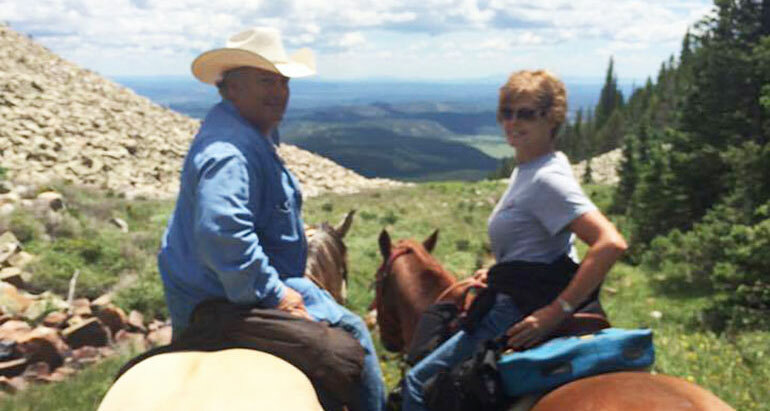 He loves to go out to Colorado and New Mexico and riding in the Rockies and camping with the Razorback Riders – a trail riding group from Arkansas. He also enjoys going to watch Rachel Barrel Race. One of the biggest pleasures of owning 5 Star is helping people and their horses to have the best saddle pad protection available on the market today. He gets great satisfaction from all the customers stories of how well 5 Star Pads have helped their horses feel better therefore, perform better without hurting. Another pleasure Terry gets is meeting so many horse people. Most of all Terry enjoys that every day his partner at 5 Star is his daughter Rachel! November 11, 2012 was my first official day working for 5 Star, and what a journey it has been! I currently compete in Barrel Racing. When I was younger, I also enjoyed other events such as Poles, Western Pleasure, Horsemanship and Cutting. One of my favorite classes when I was younger was Horsemanship in the Western Pleasure discipline. My horse was Gimmie Some Time and we could nail a Horsemanship pattern! I went to Horsemanship Camp a few summers and learned so much and had a lot of fun. 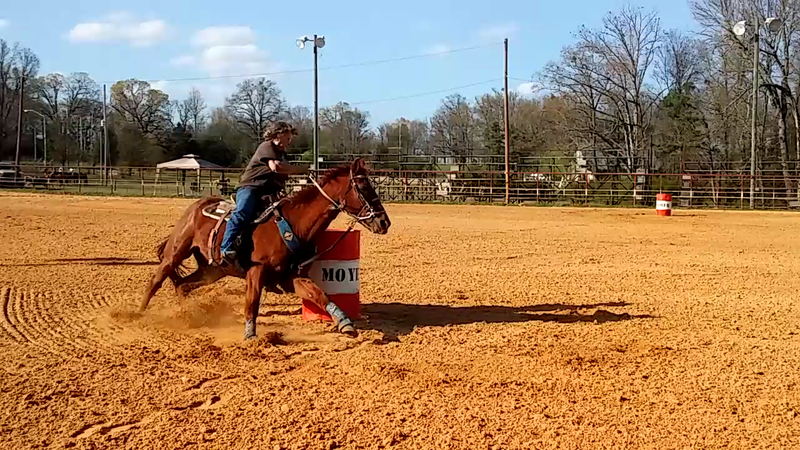 Those Horsemanship skills have helped me become a better rider in the Barrel Racing discipline. As kids my parents, sister, and I traveled all over to shows most weekends. We learned how hard work paid off, and very little comes easy. We made many special memories along the way. My sister and I were both fortunate to compete and win on a couple of nice horses. My sister's horse was Kans Kandy, who we were able to raise three babies out of. 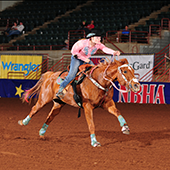 Kandy's first baby helped her partner win the Youth WPRA Rookie of the Year. I am currently riding her second baby who has made a nice mount for me. My youth horse was named Love A Lord aka Moses. 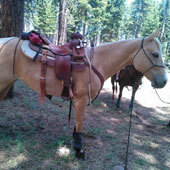 He was a big, beautiful Buckskin that was my "Once in a Lifetime" horse. We won many races, sometimes blowing the third and still winning by tenths of a second. We made our last run together at my last AQHYA Youth World Show Finals. Then he enjoyed a happy retirement until the ripe old age of 31. Today as a working mom and wife I have had to slow down on going down the road to barrel races or Rodeos and that makes me appreciate it so much more when I get to go. Right now I am riding a 5 Year old Mare, Stoli Chick aka Rosie and 10 year old gelding Kandy's Frenchman aka Tucker. It is so much fun for me to see my 5 year old get more confident and seasoned as we are going to a few rodeos this season. And when I am in need of my Ol' Faithful companion, I bring Tucker out to take care of business. My 4 year old son, Lucas is learning to ride or "Steer" as he calls it, his 24 year old pony, Jet. He has gone to his first play day and Jr. Rodeo this summer and seems to love it! My husband of 10 years, Lance runs Pine Moore Shavings also owned by my Dad, Terry Moore. We also have a farm with 4 Pullet Houses and Cows, so we stay busy year round. Lance and I enjoy watching Lucas grow up and doing fun things with him together. There are many things I LOVE about working for 5 Star. The first being, helping the horses have more comfort where they are able to do their job to the best of their ability. When there are happy horses, we have happy customers. I love hearing the success stories our customers have had with our pads. I enjoy meeting and talking to people every day all around the world that enjoy horses like I do. I have learned so much since my first day here! I am so thankful for each person that works for 5 Star. Each person brings something special to this company. I appreciate being able to work with my Dad day in and day out. I am fully aware of what a special opportunity 5 Star has given us, and I am so thankful God has given us this opportunity. 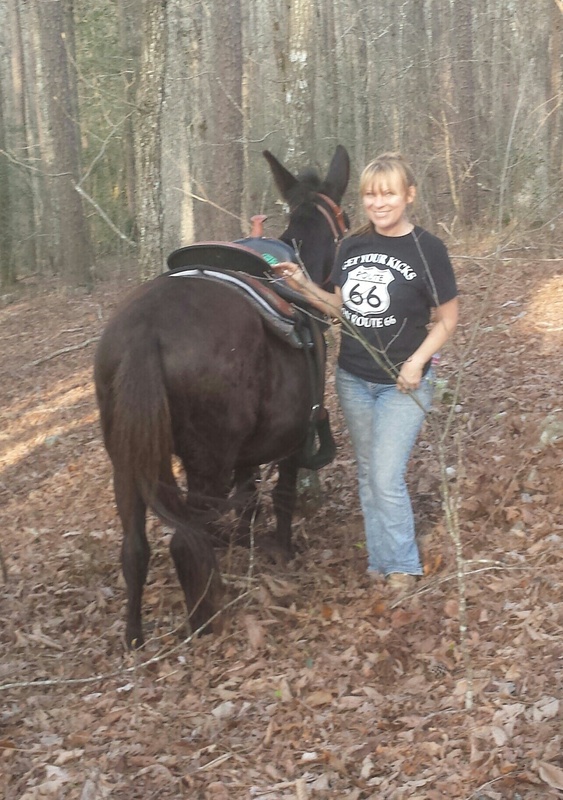 Stephanie has been working for 5 Star Equine Products since June of 2014. She does everything from bookkeeping and sales to customer service and quality control. She keeps things running smooth so that your order is processed from start to finish with the quality and craftsmanship that only 5 Star can offer. She is married to Michael, a disabled veteran, who is retired from owning a swimming pool service company back in Texas. Michael has the opportunity to be a stay at home dad with their twins, Jonathan and Rachel, an opportunity that he didn't have with his other three children. They enjoy having the kids and three grandkids here for the holidays. When asked if she had any horses, Stephanie's response was, "No, I wish"! She enjoys gardening, progressive country dancing, bowling, and DIY home improvement. Her favorite aspect of working for 5 Star is helping people all around the world with customizing pads and cinchas. Jodie has been working for 5 Star Equine Products since September of 2014. She is responsible for advertising material, social media, photography, image editing, and web management. She and her husband, Rich, have 2 daughters, Katie and Eliza who enjoy cheer, athletics, wakeboarding, snowboarding, atv’ing, the outdoors and most of all horses! Katie trains her own horses using natural horsemanship. She and Eliza both compete in high school rodeo and FFA. Both girls barrel race and attend local play days and ride daily - rain, snow or shine. Jodie enjoys snowboarding, wakeboarding, photography and spending time with friends and family. Her favorite aspect of working for 5 Star is working in a family friendly environment where appreciation is shown to the employees on a daily basis. She also enjoys helping people worldwide find the Best Protection for their horse's back! Debbie has worked for 5 Star Equine Products since January of 2005. She is a very talented cinch maker that keeps pushing the boundaries creating the newest designs and customizing cinches and breast collars to your exact specifications. 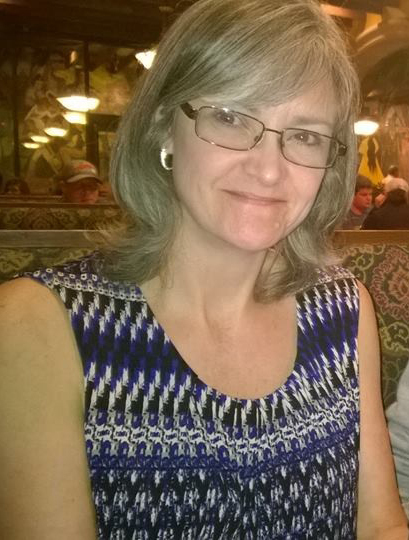 She is married to Tony Baughman and has 3 sons (and 3 daughter-in-laws): Jason, Travis and Ryan. Debbie has 5 granddaughters and 2 grandsons. 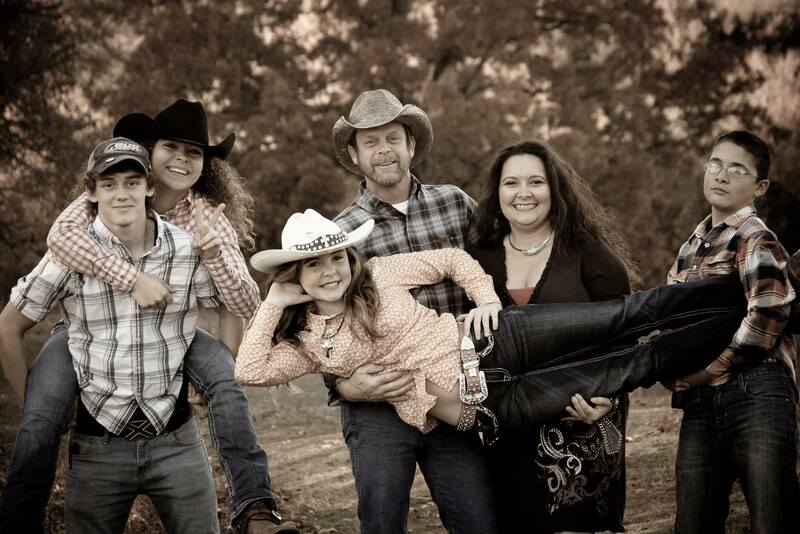 They are a very active family that enjoy their grandchildren, camping, RZR riding on trails, and motorcycle riding. When asked about horses, Debbie said that she "rides a steel horse"! 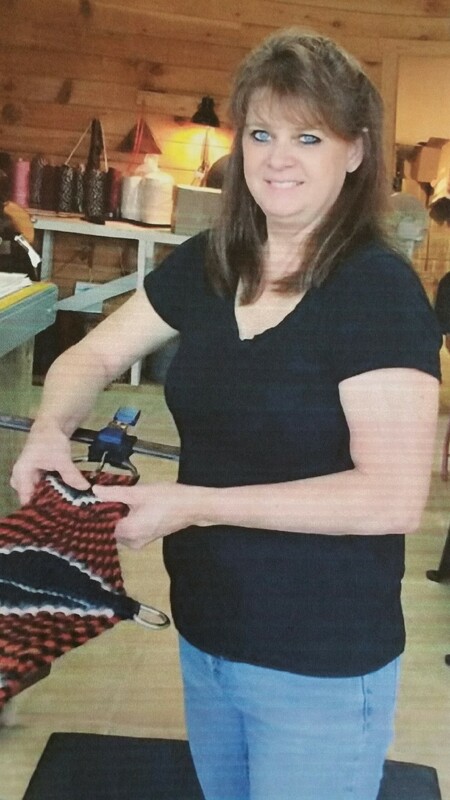 Debby loves creating new looks for cinches and breast collars, working with good/friendly coworkers, and working in a fmaily work atmosphere. She said, "It is a good family oriented company that allows us to be creative and bring out talents that we didn't know we had!" Nancy is in charge of making sure that your order is handled with attention to detail and care in a timely matter from the time the sales order hits production until it goes out the door! Nancy has worked for 5 Star Equine Products since 2010. She and her husband married in 1999. He is a carpenter and gunsmith. She has a daughter, Dylan, that was a member of the National Honor Society, National High School Scholars, played softball and basketball, and was a member of the Scholastic Team Barrel Racers. Dylan is now a mother to Nancy's grandson, Cayden. 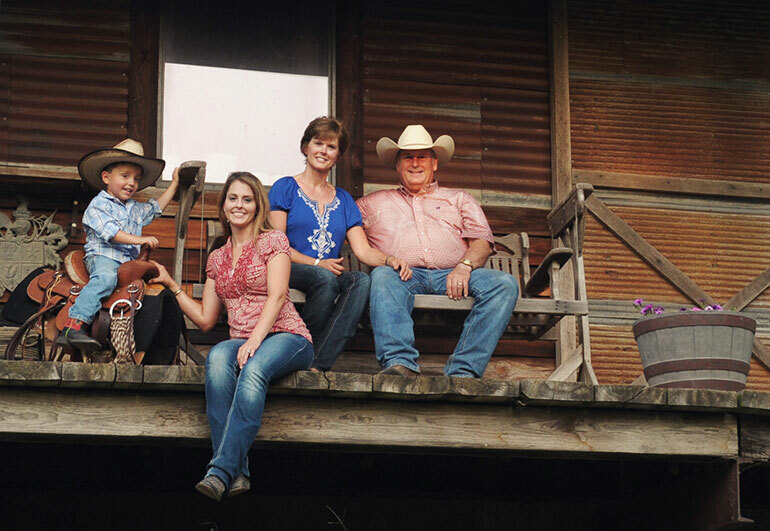 Nancy and her family own registered Quarter Horses. She enjoys Trail Riding, Western, and Play Days. Nancy's daughter has two barrel horses that she competes with. Nancy enjoys going to barrel races with her daughter, leather working, and playing with Cayden, of course. Check out our gorgeous Designer Hand Tooled and Hand Painted Wear Leathers by Nancy! Nancy's favorite aspect of working for 5 Star Equine Products is that it is a family oriented business. Tina is in charge of making sure that your 5 Star Equine Products order meets our strict quality standards and that it is packaged and shipped to you in a timely fashion. Tiara is in charge of making sure your orders are shipped out to you to arrive at your destination in a timely manner here at 5 Star Equine Products. She started working at 5 Star in February of 2016. When asked what her favorte thing about working at 5 Star, she replied "Giving the “Boss Man” Terry Moore a hard time! Working with great, funny and ornery co-workers, the environment is peaceful and funny/comical at times. That is what makes it great to want to come to work each and every day and of course it is also like working in a tack room! 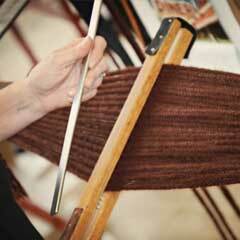 The smell of leather and the feel of wool, just adds to the experience." Tiara and her family currently have three horses. Newman age 6 who is a standard bred Leopard Appaloosa, he started out being Tiara's horse but her youngest daughter took him over and he is now her main barrel horse. Chestnut, age 8 - a sorrel mare, was born on Tiara's grandparents place. She likes being a trail horse and doesn’t have any interest in being in any arena. Last but not least is Angel, who was rescued from the sale barn, she is approximately 9 years old and started out being Mike’s horse but their daughter, Addison, took her over and now is her main barrel horse. They lost their sweet Sunflower, who we estimated to be in her late 20’s to early 30’s, at the beginning of winter in 2016. She was a “one of a kind horse” and is greatly missed. They have owned many horses over the years and plan to add a couple more to their family for the grandsons; they have 5 dogs and a pot belly pig as well. Jerri started working at 5 Star Equine Products in October of 2015. Her favorite thing about working for 5 Star Equine Products is "the smell of leather"! She enjoys making products that will last and being able to say that she was a part of that. Jerri has one mare paint horse and two mules. She has three children, Kayla, Cody, and Kaitlyn and lives with her boyfriend, Ben Fairless. Her hobbies include anything art related, riding when she can, and being outside. Dave has been working for 5 Star Equine Products, since December of 2016. His favorite thing about working at 5 Star is having a hand in creating quality products! He enjoys rockhounding, lapidary and geology. Amanda has worked for 5 Star since August of 2015. She is responsible for sewing your 5 Star Pads with quality and attention to detail. Her favorite part of working at 5 Star are her co-workers. She also loves that family always comes first. She is engaged and together they have four sons and one daughter. They enjoy fishing, hunting, back-roading, playing cards and just spending time together. Britt Driggers: Reaching for the Stars! Straightforward shopping, pay securely and reliably. Beware - synthetic material, fibrous, open and closed cell foams, trap heat and increase chances of heat related pressure sores. The hydrophilic water-loving component in wool delivers sweat and heat away from horses backs and through the saddle pad. If you wouldn't wear it, why should your animal? Sheep in the hottest and coldest of the climates of the world have known for thousands of years that the original "high-tech fiber", wool is unmatched. I love the 5 star pads. They are the only pads I use now. I have had some of the more so called popular pads but they do not compare to the 5star.. I will not use any different pad. I actually keep an extra in my trailer. Easy to clean and always looks nice. The 5 star pad conforms great to my horses back and gives much needed relief on his withers. I love how soft but very durable they are and they are so easy to clean. I had tried other types of felt pads but he was very unhappy and as soon as I put this one on he's very comfortable and relaxed.